Acting Balanced: Product Review: New from Duncan Hines! 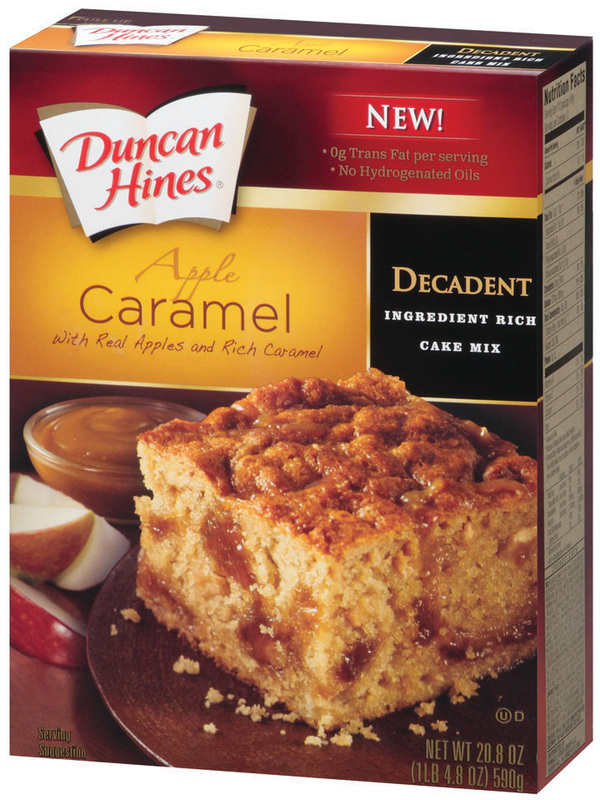 Product Review: New from Duncan Hines! Do you want to step up your holiday entertaining without breaking out in a cold sweat? 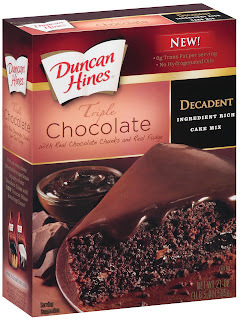 I was asked to review four yummy products from Duncan Hines, and who am I to turn down a chance to make yummy desserts for my family? Now, I have to say that I didn't get to taste everything myself - darn chocolate allergy, but I can say that everything was easy to make - the directions were spot on and it turned out the way I expected! The first product I tried was the Apple Caramel Decadent Cake Mix - this was a two part process - you made the caramel in a separate bowl and then added it to the cake mix by spooning it over and then marbling the cake and caramel. I baked this in a 9x13 pan and each square was rich enough without any extras - it was the perfect Fall dessert! This got two thumbs up from everyone who tried it - I was somewhat worried that the caramel would overpower the apple and be too sweet - but the flavors were well mixed and this cake was lovely! The second product I made (but didn't get to sample myself) was the Triple Chocolate Decadent Cake - again, when making this, you make the fudge separately and combine it with the cake in the last step to create pools of fudge throughout the cake. Boy, does this ramp up your dessert! I tried the vanilla on some banana bread I had made... and yumm-o! I also think that these glazes have applications beyond the cake realm... can you say ice cream anyone? 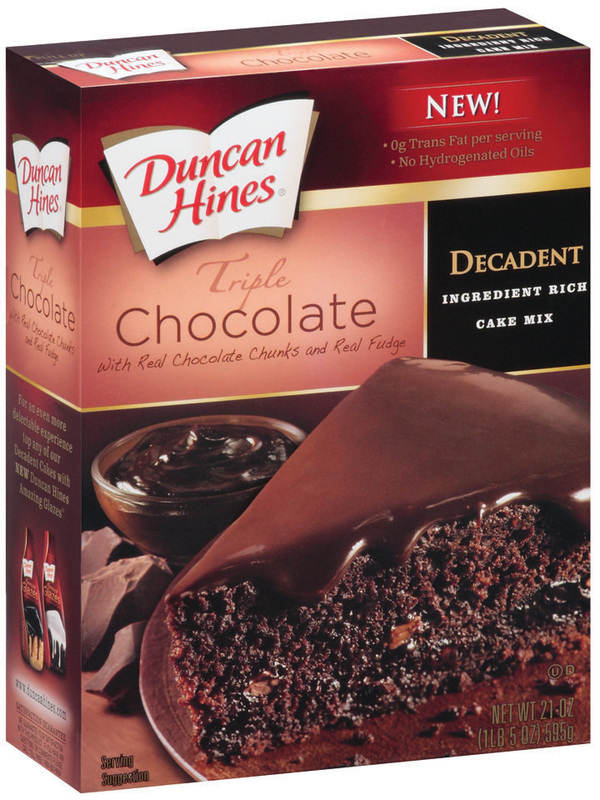 There is also a third flavor of Decadent Cake that I'm dying to get my hands on.. Carrot Cake! As I said at the beginning, I really think that for the non-bakers out there, these new Decadent Cakes and Glazes could be the hit of your holiday parties! 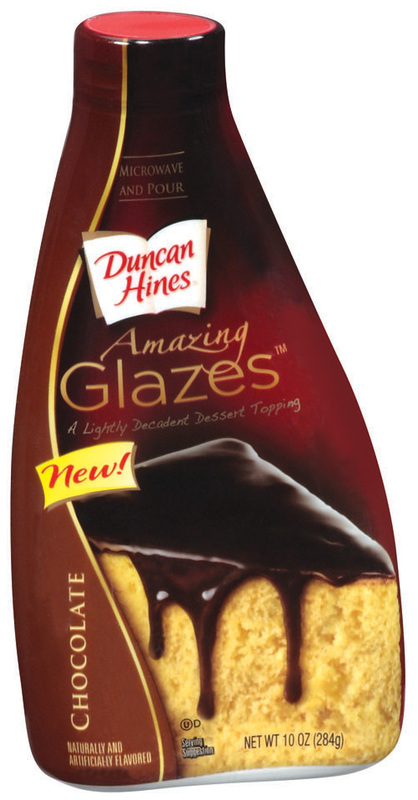 So check out http://duncanhines.com/decadent-glazes and see for yourself! Disclaimer: I received these items for review at no cost to me. All opinions are my own.